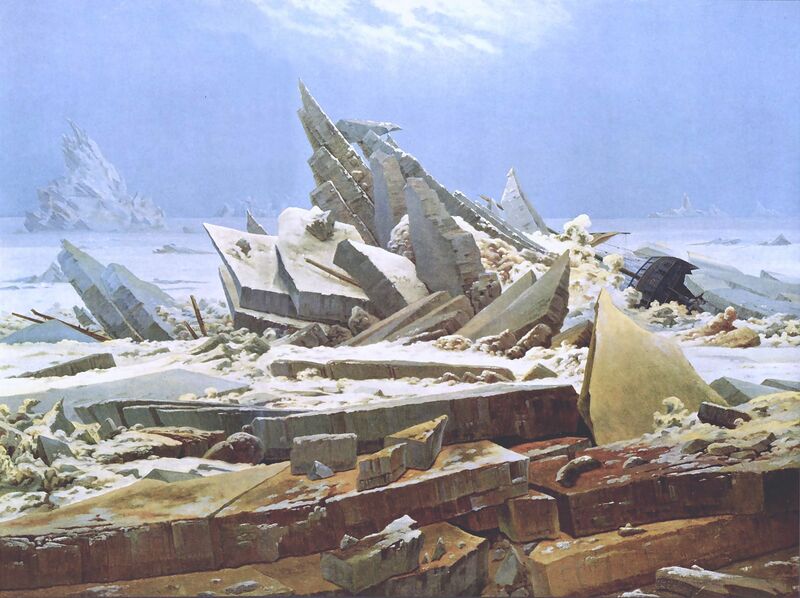 The Sea of Ice, 1823–1824, a painting by Caspar David Friedrich, inspired by William Edward Parry’s account from his 1819–1820 attempt to reach the North Pole. A little over a year ago, I described how global warming had melted the northernmost iceflows, opening up the Northwest Passage. I reported that Russian cargo ships were about to take a new sea route, located 500 miles north of the Arctic circle and less than 1200 miles from the North Pole. How time flies! This coming August 16, the Crystal Cruises vacation ship Crystal Serenity will make the same chilly journey. The 32-day trip will cost $21,855 per person for the trip from Anchorage, Alaska on the Pacific Ocean to New York City on the Atlantic Coast. Since the Fifteenth Century, explorers had been hoping to find a Northwest Passage, a route that would take them from the Atlantic Ocean, through the Arctic, to the Pacific Ocean. The Western Hemisphere is a huge, impassible landmass, stretching from the Arctic down to the tip of South America. There was no way to cross from one side of the Americas to the other by water, except by sailing around Cape Horn. The Canadian Archipelago contains many islands, with waterways between them. Looking at it from above, it appears to be solid snow and ice, but if the snow melted, some of the melted ice would become watery passageways between snow covered and hidden islands. 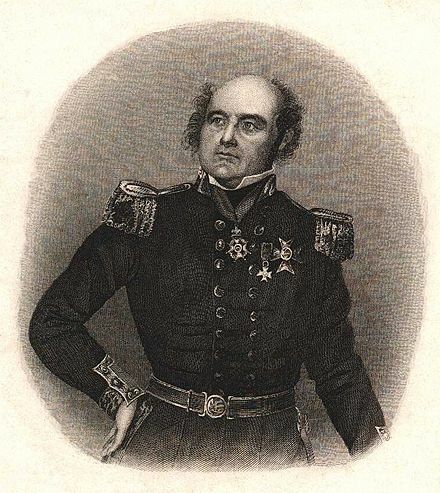 In 1845 Sir John Franklin, a Rear Admiral of the English Navy, and his crew of 128 men, aboard two ships exploring for the passage, completely and tragically vanished. In 1850, Irish Naval Officer and explorer Robert McClure attempted to find them. His ship, HMS Investigator, entered the Bering Strait and found the waterway linking the Atlantic and Pacific oceans. MHS Investigator, trapped in the ice, August 20, 1851, the same month the Crystal Serenity will begin its cruise. 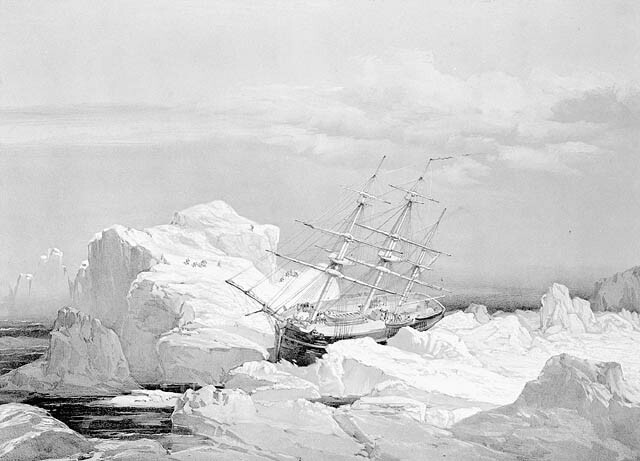 The Investigator became trapped in the ice, forcing McClure to abandon ship. Fortunately, he and the crew were saved. 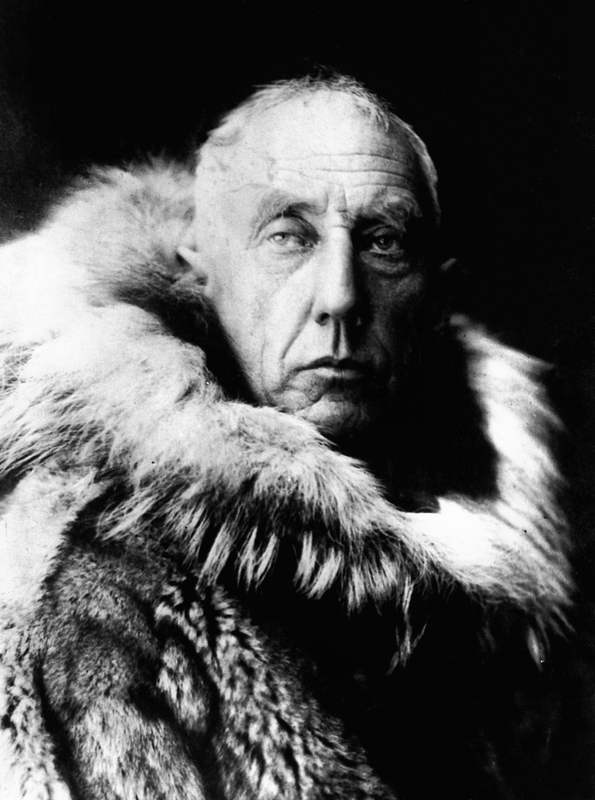 It wasn’t until 1903 that the Northwest Passage was finally navigated by Norwegian explorer Roald Amundsen. Unlike the luxury cruise this summer, Amundsen navigated from East to West. When Dr. Cook reached the pole in 1909, he thought he could retrace his steps back to civilization and left stashes of provisions for the return. 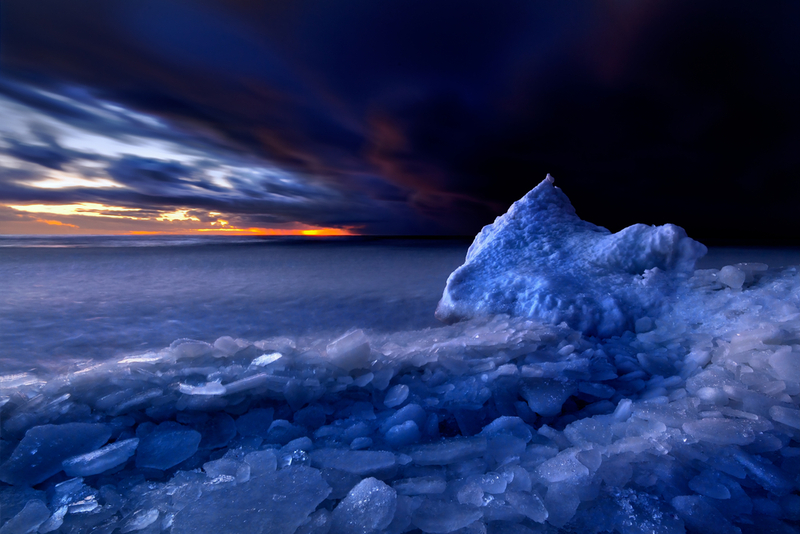 He was dismayed to discover that he had actually crossed an ice-covered sea, which was moving continually west. None of his provisions were where he left them – they had moved with the ocean. How he successfully returned to civilization is a frightening and exciting tale. 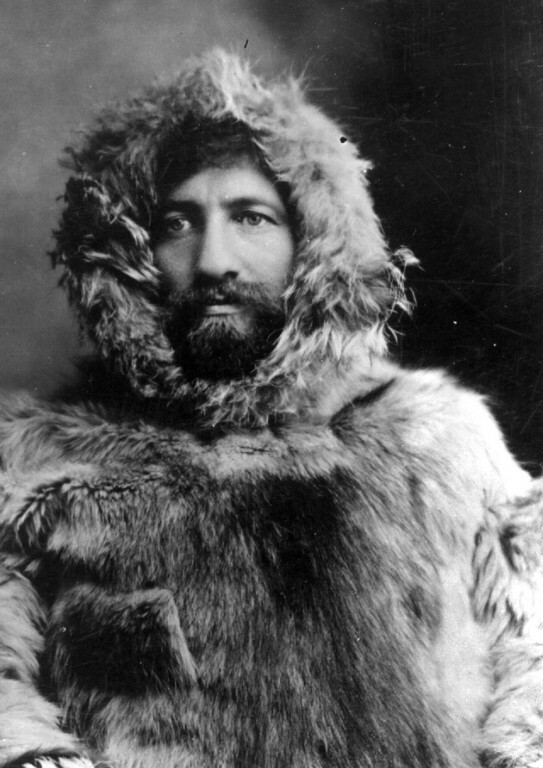 As Roald Amundsen did, Dr. Frederick Cook tried to learn Arctic survival skills from the Inuit people. Amundsen choose a 45-foot fishing boat with an extremely shallow draft. Some waters he successfully passed through were only 3 feet deep! He chose one modern innovation, however: a gasoline engine. 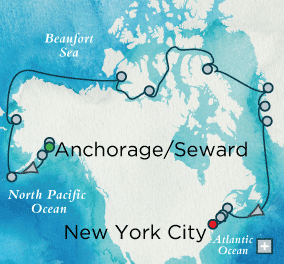 Published route of the Crystal Serenity cruise, which begins August 16, 2016. The opening of the Arctic to public travel might be a naturalist’s dream, because it will be possible to kayak through Arctic ice fields and perhaps photograph musk ox, caribou, Arctic fox and Polar Bears on excursions onto the icy shore. 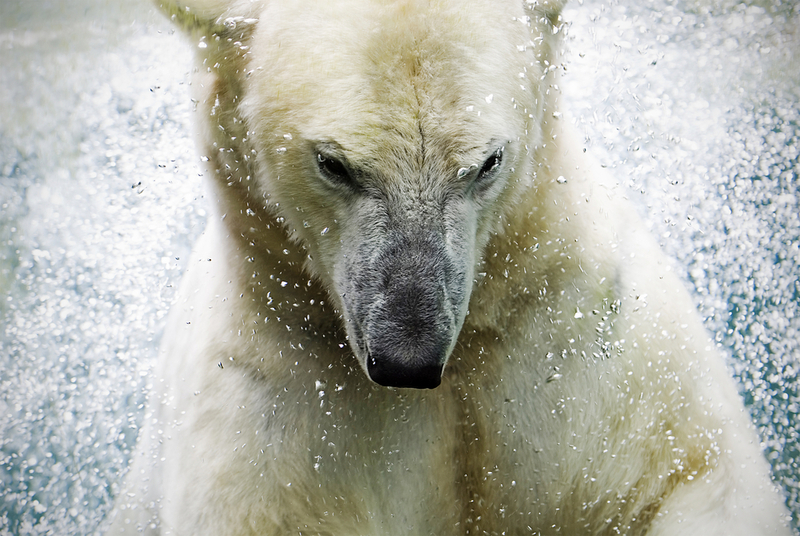 Dr. Cook discovered, the hard way, that human beings without a rifle are not superior to Polar Bears. On his difficult return voyage to civilization, Cook had with him one rifle with one precious bullet. Polar Bears were a real threat and he had to outwit them to survive. The downside of this modern day Northwest Passage crossing is that we humans have again intruded into the wild, and, wherever we intrude, nature changes and a habitat is irreparably damaged. If one pebble, moved on the forest path, changes the future, imagine what change will be effected by blasting through a block of ice. In addition, although cruise ships don’t discharge their sewage waste closer than 12 miles from shore, there has been no assessment of what will happen to that waste and how it will affect the environment and the Arctic sea life. With all that said, I wish I was going because it will be an exciting adventure and a great learning experience. Of course, there is the issue of passenger safety. No cruise ship has ever done this before, so there is no previous experience to draw upon. The Crystal Serenity is not a new ship and was not built for the extreme North. Its maiden voyage was in July, 2003, when it cruised the coast of Europe and the Mediterranean. It has 13 decks, a movie theatre, six restaurants, a golf driving range and a casino. There will be a 260-foot Icebreaker ahead of it to forge through the ice, carrying oil spill equipment, just in case. Outdoor Magazine reports that the ship will carry “sonar equipment, high resolution radar, two ice searchlights, two helicopters, Zodiacs, kayaks and a landing platform to permit side trips.” Exciting for the passengers, lucrative for the cruise line but perhaps not as beneficial for the wildlife and the environment. 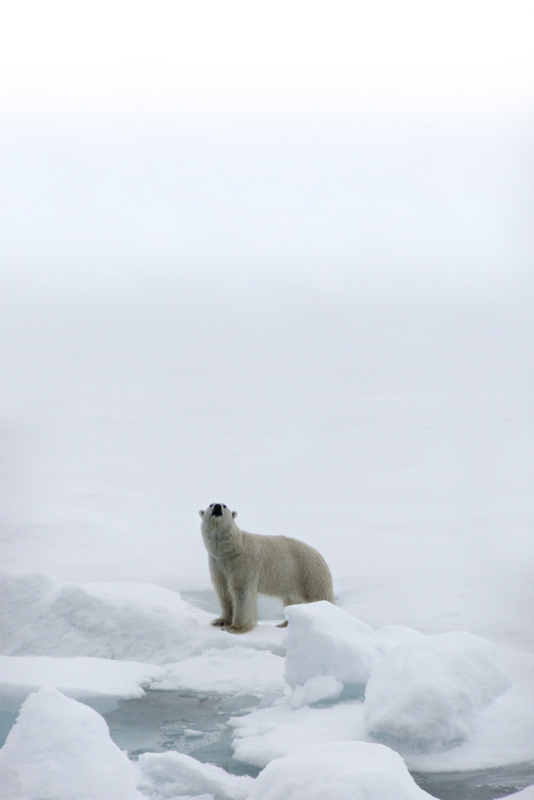 Polar Bear on ice flow. The cruise line admits there are risks. It is requiring each one of the 1500 passengers carried on the 820 foot cruise ship to carry an Emergency Evacuation Insurance Policy, covering at least $50,00.00 in costs… just in case. I wonder if there is something called Environmental Damage Insurance.